Spring is the season of festivals and road projects. At the Kirkwood Neighbors Organization meeting held April 10, 2019, the conversation was dominated by road work and plans for Earth Day and Spring Fling. Atlanta City Council Member Natalyn Archibong let the assembled residents know that a four to six month water main replacement project will begin Monday. Among other locations, the Department of Watershed Management will be working on sections of DeKalb Avenue from Oxford Place to Rocky Ford Road and from Moreland Avenue to Ferguson Street. Councilmember Archibong also noted a plan to establish a department of transportation for the city. Greg Giuffrida, the Corridor Executive for Imagine Memorial, offered an update on the resurfacing and restriping of Memorial Drive that began in March. “That work is happening right now, during nights and weekends. 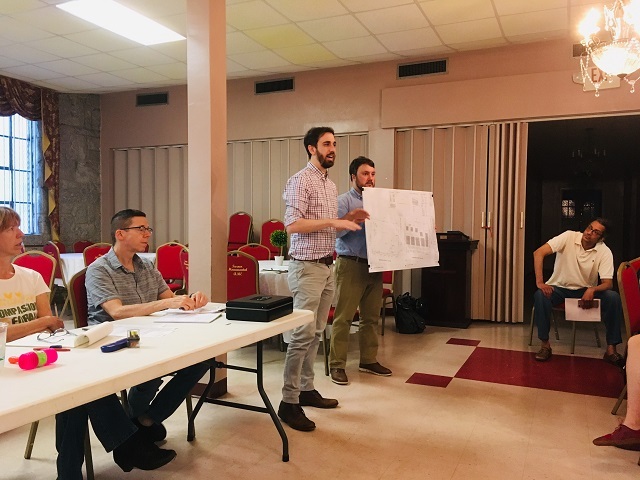 Generally the consensus that we’re hearing from the Department of Transportation and residents who live directly on Memorial Drive is that it has been successful,” said Giuffrida. Data on how the restriping has improved efficiency and safety will be released soon from the Department of Transportation. 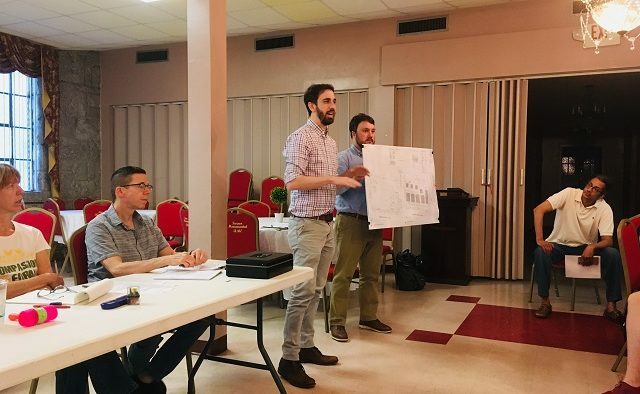 Architects Ian Fralick and Will Gravlee of Gamble & Gamble presented a plan for five detached homes at 190 and 207 East Lake Terrace, in support of a request to rezone from R-4 to PD-H. The plan includes widening the sidewalk from seven to ten feet and adding plantings to provide more of a buffer from traffic for pedestrians. Kirkwood Spring Fling organizers reported on progress for the festival coming up May 18. Chair Andrew Feury noted that the Blue Ribbon Barbecue Cook-Off has fewer competitors so far than last year, and encouraged those skilled with the grill to sign up. “There will be cash prizes, and of course the knowledge that you have the best barbecue in Kirkwood,” said Feury, who also added a call for volunteers. To view the entry form, click here. “We’re collaborating with R. Land, the local Atlanta artist. Our volunteer shirts and 5k shirts will have custom art work featured from R. Land, so it will be very different and definitely a collector’s item,” said Spring Fling Marketing Chair Katie Kissel. In addition to the annual scrap tire roundup, which will take place April 13, the KNO Environmental Committee is planning an Earth Day celebration at Kirkwood Urban Forest on April 26. The Atlanta Bicycle Coalition will be offering a free family bike class in Kirkwood, Saturday May 11 at Bessie Branham Park at 2 p.m.